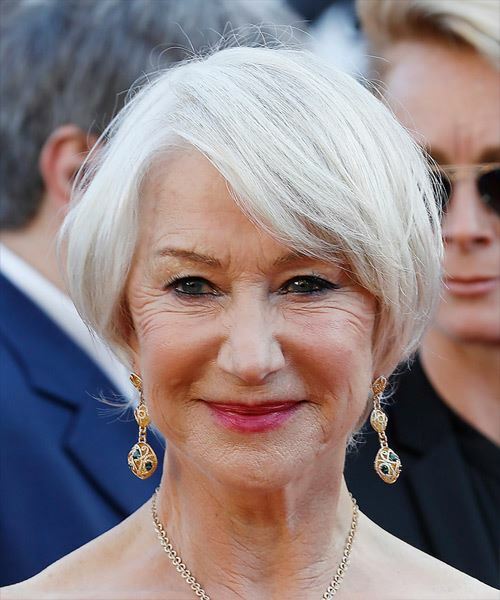 Helen Mirren looks lovely in this short hairstyle that has the sides and back cut short and close to the head while the top is left longer for a soft finish. The sweeping layers in the bangs add a gorgeous framing effect around the face. 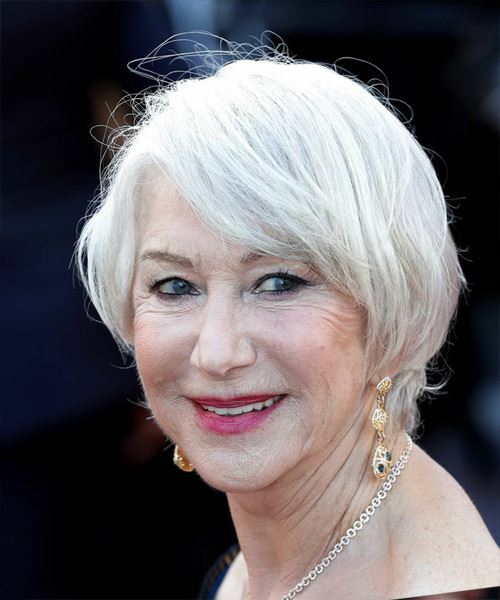 This hairstyle is perfect for ladies with an oblong, oval or diamond shaped face and who have fine to medium-thick hair. 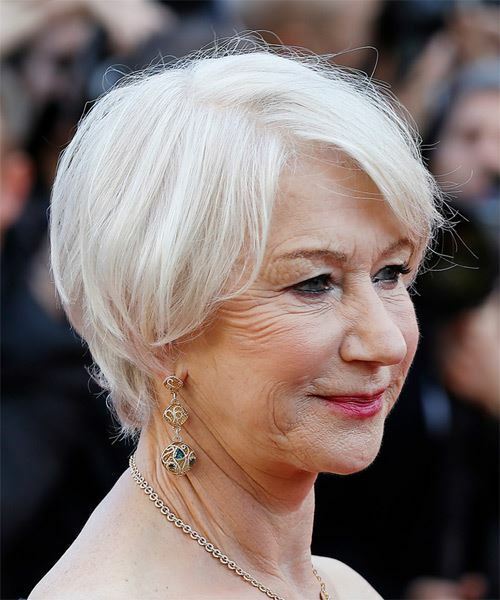 The gorgeous light grey color is another fabulous feature of this hairstyle, and will benefit from using a blue shampoo to keep it looking fresh.